� Designed for securing and locking a wide variety of doors, cabinets, boxes, trunks, etc. 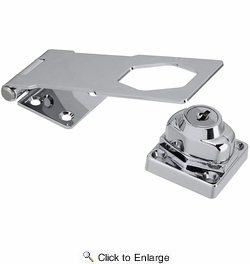 National N183-780 Keyed Hasp Lock 4-1/2" - Chrome (V827). 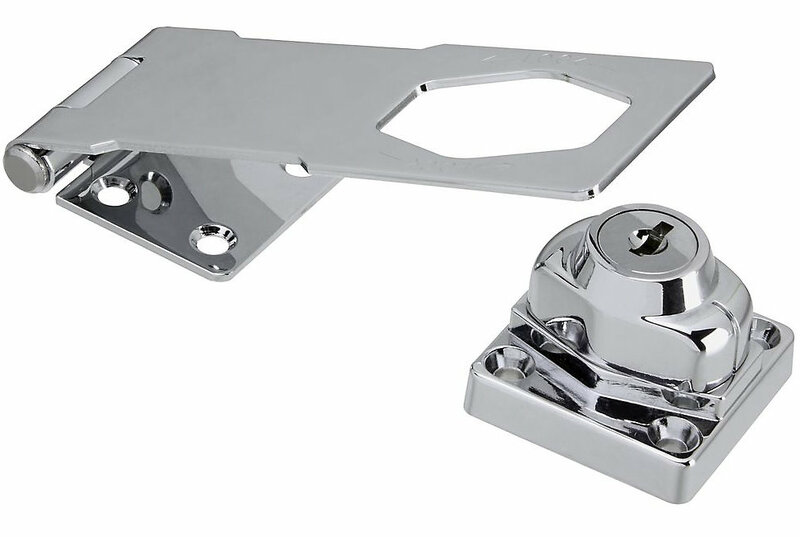 Designed for securing and locking a wide variety of doors, cabinets, boxes, trunks, etc. Always locks in the latched position. All screws are concealed when hasp is closed to prevent unwanted removal. Locks are available in keyed alike. Steel with die-cast zinc lock body; solid brass keyway and tumblers. Uses key blank SL-1 or ILCO equivalent 1120D.